Most sinus lift procedures today are extremely invasive, increasing the risk of complications, infection and patient discomfort. DIVA, a new sinus lift technology, delivers an innovative solution for the sinus elevation procedure. 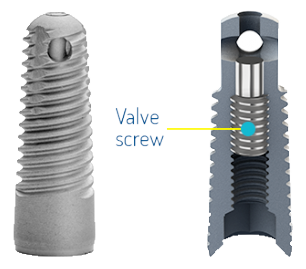 Much simpler and easy to learn, the DIVA technology is based on a “smart” implant design that significantly reduces the risk of membrane damage and also enables dental surgeons to perform the entire procedure through the implant itself. After the procedure is completed, the “smart” implant is completely sealed off against oral flora. DIVA Sinus Lift Technology is great news for patients because it is a far less invasive than other implant procedures, and as such it greatly reduces the risks of patient post-op complications, and shortens the post-op recovery period. Significantly stronger than other, regular dental implants.